THE 1947 seasonal favourite, Miracle on 34th Street, is a modest and sweet-natured comedy with the unfeasibly grand ambition to square the contradictory values of capitalism and religion. However greedy the market gets, the movie suggests, it's nothing that can't be solved by blind faith in a supernatural power. So when the real Father Christmas takes over the grotto at Macy's, he shows the money-grubbing store managers that altruism is not only an end in itself, it can be great for business too. They only have to believe. If that sounds a stretch, there's an extra layer of faith required at the Tron where, in Miracle on 34 Parnie Street, the unglamorous road behind the theatre has become the location of TJ Confuse, a down-at-heel department store under threat of closure. Not only must we believe the real Father Christmas would fill the job vacancy in this unloved shop, but we must also accept she is female. And what a female. 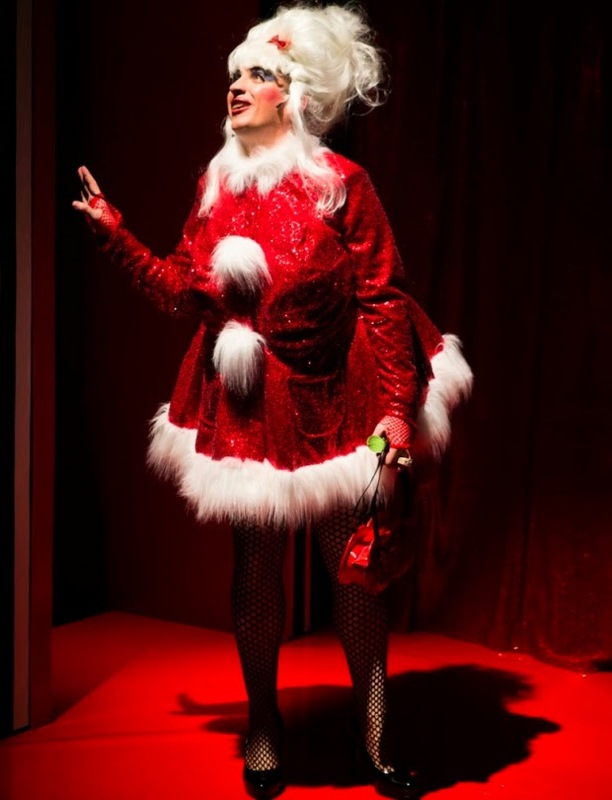 Played by writer and director Johnny McKnight in a spangly red dress and an arse designed for twerking, Kristine Cagney Kringle ("single and ready to mingle") is a hilariously improbable saviour of the Christmas spirit. Equally unlikely is that this predatory creature with a coruscating line in audience back-chat would be a multi-linguist who could tick off half-a-dozen languages in a single song. But the evidence is plain to see: Kristine Kringle is the true meaning of Christmas. By sticking to the movie plot, with an added Machiavellian twist to make room for Darren Brownlie's loose-limbed panto baddie, McKnight holds on to the good-beats-evil message even as he is sending the whole thing up. In this, he is aided and abetted by the romper-suit cuteness of Gavin Jon Wright, the game-for-anything accents of Julie Wilson Nimmo and the awesome vocals of Michelle Chantelle Hopewell.